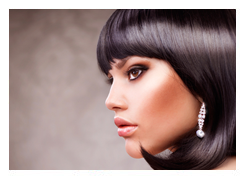 At Atelier Hair Salon in San Diego, we understand hair! Do you have questions about how to make your hair color last longer? 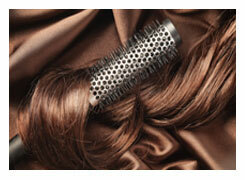 Or perhaps which hairbrush is the best options for creating your particular style? Or which type of haircut is the most flattering for your facial shape? We can help! Our Tips page is full of professional salon tips to help you create gorgeous style in between your visits to our hair salon in San Diego. Whether you have lavish curls and luxurious length, or dry damaged hair that has been affected by heat styling and over processing, you'll find helpful tips on this page for super healthy hair that turns heads. Every hair type is unique with different qualities that set it apart. From curly to wavy, and oily to dry and damaged, enjoy professional tips that will keep your hair in top form and looking its best every day. 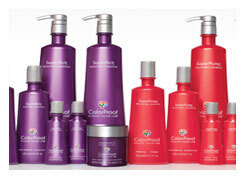 How can you keep your hair color looking its best long after you leave our salon? What will prevent your hair color from fading so quickly? What factors affect your hair color? What brush is best for maintaining your particular hairstyle? What are some excellent flat iron and heat styling tips? How can I create perfect curls? Many people ask us if there is a difference between products that you buy at a salon and products that you purchase at a local drugstore. Is there really a difference? Ever wondered which hair style is right for your face shape? There is a perfect cut for everyone! Does the brand of hair color make a difference in the quality and life of your hair color?